It’s finally here, the official start to grilling season—although anyone who knows me, knows that I grill year ’round! Still, Memorial Day is a great time to celebrate cooking outdoors. I love creating a build your own burger bar when I cook for a crowd. It’s easy on the cook (me!) and lots of fun for my company. I make up a mess of patties in advance and simply fill the grill with them. When they are done, I put them on a platter and they join the buffet of buns, topping and condiments that I have laid out. Because there are so many fun and tasty ways to top the burgers, I always count on each person having two. This is a real crowd pleaser. The day before my cookout, I always make my Straight Up Deviled Eggs while I am getting all the burger toppings together. The eggs actually taste better once all the deviled flavors have had a chance to meld and marry in the fridge. Try presenting the eggs in my Grill Friends Porcelain Egg Crate. It is functional and whimsical. But note that you will need to cut the eggs across instead of lengthwise. On the day of the party, all you have to do is fill the shells with the deviled mixture. I love that all the hard work is done and I have more time to enjoy my party! These classic deviled eggs are summer on a plate and a welcome addition to an cookout! Place the eggs in a large stockpot and cover with cold water. Bring to a boil, cover and turn off the heat. Let sit 20 minutes. Drain and run under cold water until eggs are cool to the touch. Let sit another ten minutes. Porcelain Egg Tray, part of Elizabeth Karmel’s Grill Friends BBQ line. Made by HIC, Harold Import Co.
Peel eggs carefully, keeping whites in tact. Cut in half across the middle and remove yolks. Set whites aside in the Grill Friends Porcelain Egg Crate. Break yolks up and mash with a fork until all large pieces are broken up and smooth. Add mayonnaise, mustard, butter, lemon zest and juice, garlic powder and Tabasco. Stir well. Taste and season with sea salt. Just before serving, place in a pastry bag or use a small spoon to fill egg white “boats” with “deviled” egg yolk mixture. Sprinkle with smoked paprika for classic eggs, chives for a fancier-looking version. Looking for a juicy burger recipe? Check out Elizabeth Karmel’s Backyard Burgers. 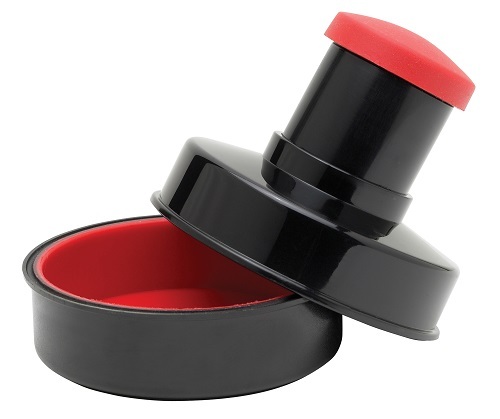 Try the Grill Friends Steakhouse Burger Press to make quick work of perfect patties. This entry was posted in Cook - Recipes from Friends and tagged Deviled egg, Elizabeth Karmel's Grilling Tools, Elizabeth Karmel's Recipes, Grill Friends, Grilling, HIC, Memorial Day, Tools Exclusively from HIC Harold Import Co. on May 27, 2013 by Elizabeth Karmel. Spring must have gone back to bed because we are having winter redux! It is cold and snowy today in Chicago. That means one thing I am craving comfort food again! My favorite homey meal is a roasted chicken (beer-can style, of course!) and fluffy grilled new potatoes. A little spinach, asparagus or even green beans make it soulfully satisfying and easy! To lighten things up, I created a citrus-salt rub that you put all over the chicken, both inside and out for an infusion of flavor that will wake up the seasons and put a spring in your step-even if you still have to bundle up like crazy! The great thing about the rub is that the fluffy fine citrus zest explodes with flavor but doesn’t make the dry rub wet. When you are zesting your citrus, use a Microplane zester and make sure not to get any of the bitter white pith in your zest. Try my Citrus-Sale Rubbed Beer Can Chicken made in the Grill Friends™ Chicken Sitter and perched over white wine instead of beer. Serve with Sparkling New Potatoes, Grilled Asparagus, Steakhouse Spinach or your favorite veggies. Chicken Sitter, part of Elizabeth Karmel’s Grill Friends BBQ tool line. Made by HIC, Harold Import Co. In a small bowl, stir the rub ingredients until well combined. Set aside for rubbing chicken. Remove neck and giblets and rinse chicken inside and out if desired; pat dry with paper towels. Coat chicken lightly with oil and season inside and out with 2/3rds of the Citrus-Salt rub. Set aside. Open beer can, pour out about ¼ cup of the beer and make an extra hole in top of the can with church key can opener. 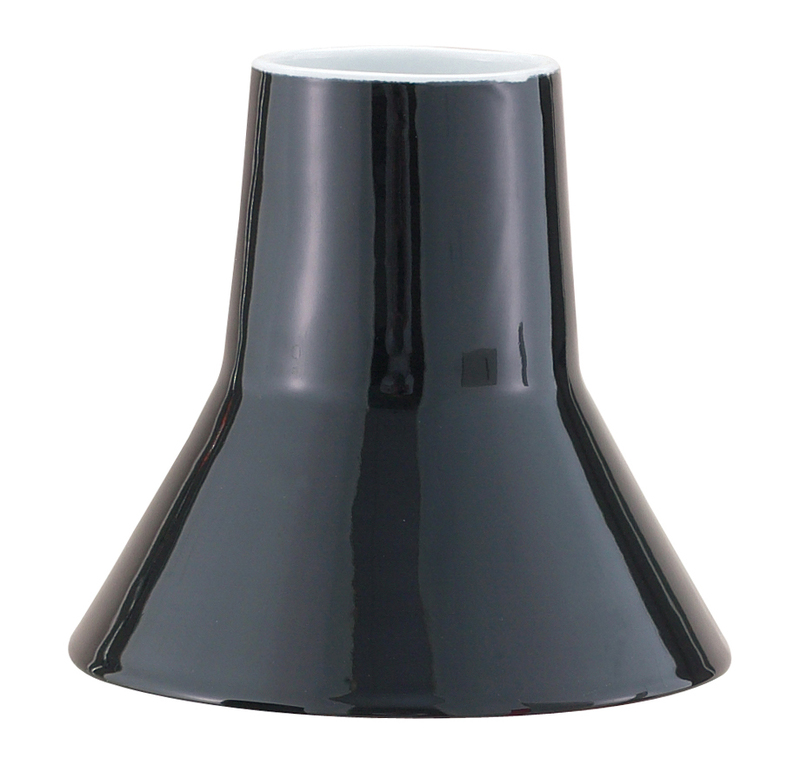 Alternatively, pour beer into the Chicken Sitter or pour 12-ounces of wine into the Chicken Sitter. Sprinkle the remaining dry rub inside beer can or Sitter. 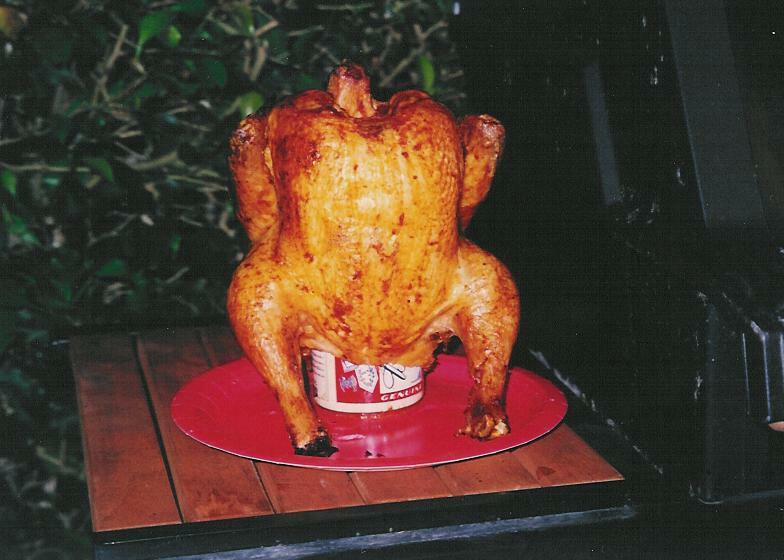 Place beer can in center of cooking grate and “sit” chicken on top of the beer can. The chicken will appear to be “sitting” on the grate. Cook chicken for 1 – 1½ hours or until the internal temperature registers 165ºF in the breast area and 180ºF in the thigh. Remove from grill and let rest for 10 minutes before carving. Note: When removing from grate, be careful not to spill contents of beer can or Sitter, as it will be very hot. This entry was posted in Cook - Recipes from Friends and tagged bbq, Beer, Chicago, chicken, Elizabeth Karmel's Grilling Tools, Elizabeth Karmel's Recipes, Grill Friends, Grilling, Kosher salt, Tools Exclusively from HIC Harold Import Co. on April 3, 2013 by Elizabeth Karmel.